I am also into parametric architecture experimenting in 3D tools. Where do I find these theories on the internet? This is a very generic/broad question. Please be specific or I will not be able to help you. However, my answer would probably be the same either way: you found! http://www.archi-lab.net is a place to go, but if you don’t like what you see please feel free to GOOGLE things. Good luck! I was hoping you would be able to help me get your Select Room By Level working with 7.1. I am struggling to get a Boolean input to work with your filtering unplaced rooms. From what i can see on youtube the Boolean input used to be 1/ 0 values however the new version is True / False. I would have thought that a True would equal a 1 however i cant seem to get it working with your Node. Im totally new to Dynamo so its probably me being stupid. Im hoping to develop a method of filtering and grouping rooms by apartment however im cant even get to the point of filtering by level yet!.. Looking at trying to apply your element tagging to tagging structural framing and I have run into a couple issues. I would also be interested in trying to apply your multiple views on a single sheet to multiple plans on a single sheet. Let me know if you can help, thanks. If you want to describe the issues that you are experiencing in a greater detail then I can point you in a right direction. Also, if you could attach images/files/code that is giving you problems that will make the troubleshooting a little easier. Do you have an email address I can send the file to? I sent you an email. Just reply to that. I’m writing to you about the “room occupancy” load script. I was started a thread on “dynamobim” forum. but for some reasons you didn’t see my reply to you. I’m still stuck in this. and I hope you can explain to me more how could you do it in detail if you can. This is a really old post. I don’t think I can help you here since Dynamo has been developing rapidly since and this post has simply became outdated. I do not have in my plans to update that post to most recent version of Dynamo, but i will let you know if i find time to do that. No problem. However; Can you send me the old dyn definition and the revit file of that tag?, I can play with it so that I can understand your concept. I am sorry this happened, but I know exactly why. You are probably using the latest version of Dynamo and the post was made quite some time ago on a much older build. I currently have no plans to update it to the latest version. My apologies. Where do i find the components for Legend and and Analysis that you are using? I have Mantis Shrimp for 11.30.2014 and I do not see any nodes like that. 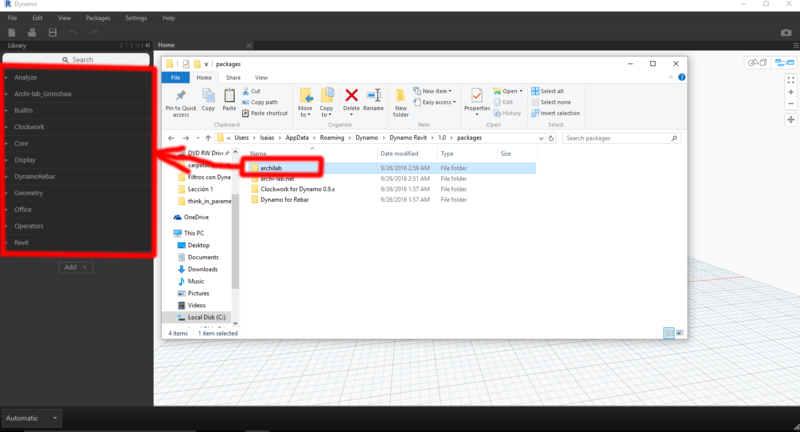 The Legend Components can be found in the Download section of this blog or via Package Manager in Dynamo. Just search for package called “archi-lab”. Also, there were some recent updates made to both archi-lab and Mantis Shrimp packages, so make sure to install the latest of both. Good luck! 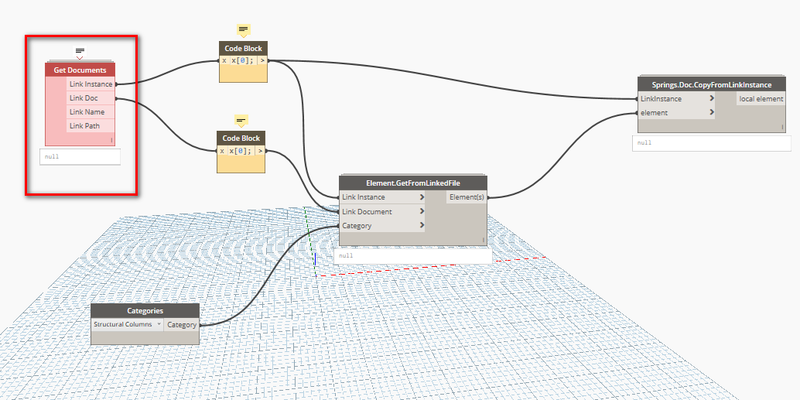 Very new to Dynamo (first day), OK with Revit and programming (VB & C). I’m trying to pull in data from an excel file to populate a key schedule with text. Much thanks to your custom nodes (Key schedule & get all views). The problem I’m having is that the strings are being trimmed, that is to say, spaces at the beginning of each string are being trimmed. This is probably desirable to clean up otherwise unformatted data, but in my case, I want the spaces as they provide indentations in my text. The spaces show on a watch node at the output of an Excel.ReadFromFile, but they don’t make it to the schedule. Obviously there is something going on inside the Key Schedule custom node, but I don’t yet follow the python script(s) you have in that node. Is there some way to modify the script to get the raw string without trimming leading spaces? I sure hope so. I am not exactly sure what could be causing this behavior but I will give it a look when I have a second. I havent tried feeding in a string with some leading spaces, but since your description is point on I will be able to quickly narrow down what might be the problem. Thanks for visiting archi-lab and good luck with Dynamo! I will post here if/when I find a source of this issue. I was looking at some of your other posts, and noted one where you used your own python script to create placeholder sheets because the OOTB nodes required a view input; you also noted that your script cleans white space. So I thought I was on to the answer and started looking at that script for how you clean the string (I think you use “join” and “split”?). …unfortunately, these usages don’t show up in the Key Schedule node script. So, I had a look at the code in both of the Python nodes responsible for the row creation and one filling in the data. There is noting there that would cause this behavior. I am not sure what could cause it, but I am going to guess that Revit has some internal behavior that would do that. I will investigate it further, but at this point I would raise that question with the Autodesk Development team. Thanks for all your help. It’s too bad this doesn’t work. I’m just a “in the trenches” (intern) architect trying to get around revit’s text limitations. Thanks for the great articles and sharing. First of, thank you for your kind comments. I am not intricately familiar with the method that William created so its hard for me to answer any questions regarding it. Room is an element. It also contains geometry so Bounding Box should work just fine with it. I saw that you did something with Revit warnings, but is it possible to get what I need with Dynamo and could you help me achieving it? I am sure its possible. I haven’t touched the Warnings Definition in quite some time and honestly I don’t plan on doing anything with it in the near future, but feel free to take it for a ride and post to Dynamo forum any questions that you might have. I am sure if it won’t be me, someone will be able to help. I always tell people to post to the forum because you have a better chance to get your question answered when you ask 100s of people instead just one (myself). I don’t have anything ready for what you described, and it will sure not be the easiest of undertakings but I am sure you can do it. Good luck! On the Dynamo Community I read your response to the Topic/Discussion: Table/List Join??? I have been working on similar workflow – My definition works fine but its not perfect. It’s a simple match lists and transfer cell information from Excel to Spaces in my case. When I started my definition, I search the community for a solution whit a Ecxel crawler whit no luck! Will you be kind to share your crawler? I’ve been following your work in Dynamo for awhile now and its really some awesome stuff. Its incredible how often the kind of challenges I am trying to script have already been partially or completely done here on your blog. I have a basic knowledge of Python but I was curious if you have any good resources to recommend. Specifically how do you know when to use functions like UnWrapElement or TryGetFromRoom. I never know the exact syntax to use or which function apply to which Revit elements. Do you have a resource for this? I am an architecture student on the gold coast Australia and I have been heavily involved with rhino and grasshopper my entire education however I am looking to expand my skills in dynamo for revit as i feel it can be super useful in a work place situation. I have been through your YouTube channel and you upload some seriously helpful stuff however I am working on a project at the moment and it is still in quite early stages and I was wondering if you could lead me to a tutorial website or something online that could assist me in using dynamo to its fullest extent for a project. For instance – My design, formally, is relatively complex and the floor and ceiling boundaries of each level are different. I can get the structural floors easily enough however I was hoping that dynamo would assist me in intersecting the mass (from rhino) and finding the floor and ceiling boundaries for each room on each level. Does that make sense and if so is it even possible? I would really appreciate any advice what so ever – you may even know someone else who could help me. But seriously, I am having a hard time understanding the question. I am guessing you want to use solid masses defined in Rhino to create room boundaries in Revit. Is that it? How about a sample file of what you have tried and maybe a few images? Also I advise to post this question to a DynamoBIM forum if thats what you think you want to use to achieve your goal. DynamoBIM.org is a good resource as well as Dynamo Primer. There is a ton of websites that deal with Dynamo, just google them. I was curious if you had any suggestions for automating assembly sheet view creation and schedule creation on those assembly views? Harry Mattison has a list of commands that are accessible through the API from the 2013 release, but I couldn’t figure out where to start in getting that written into a python script node. I’m new to Dynamo and Python Scripting, and your website seems to provide the best feedback! I also will be attending your Mantis Shrimp course in DC. I’m not sure if you will be going in depth on scripting, but I look forward to it. I am sorry but as an architect I had never had a need to create an assembly sheet nor an assembly schedule. Now, that just means that I don’t have any intimate knowledge about these kinds of schedules and views and unfortunately I am not able to answer your question. I am glad to hear that you will be at RTC and attending my presentation. It’s not a lab, and I will only have about 60min to present Mantis Shrimp so I will not be going for an in-depth explanation of code behind it. If that’s however something that you would like to see happen I am sure that RTC organizers will be happy to one day let me teach a hands on lab – that’s where we can get down and dirty with some Dynamo/Python. Thanks, good luck and I will see you at the RTC! I’ve been developing some scripts to help sort messy Revit files. I’m running into an issue where inserting the Get Worksets node causes Revit to pop up with error messages that other add-in programs I have installed have stopped working. Ultimately, I have to restart Revit after I run the script and save my model. I attached an image for reference. Do you know anything about this? This is the first time I am seeing anything like this. Are these other plug-ins running while you are placing that node? I can’t think of any reason that it would cause it, because this particular node is a Read Only node and doesn’t make any changes to Revit DB. It just retrieves all Worksets from the model without making any changes. There should not be a conflict. I would report this on DynamoBIM GitHub page as an Issue for the development team to look at. I haven’t used any of those plug-ins while I was developing that script because I was just working in a test file. I’ll post it to the DynamoBIM GitHub. Thanks! Absolutely love the ideas and information you’ve posted here. I’m struggling in the creation of the print to PDF and rename function. 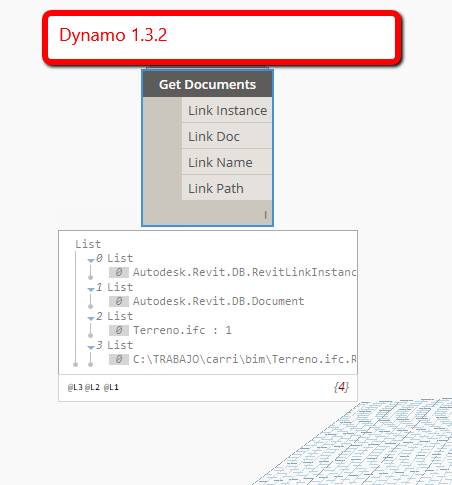 I’ve read and re-read but I think (well I’m sure) I’m missing the connection where dynamo tells Revit/Adobe to rename the file. I followed everything but I’m missing that last piece. Can you help? I don’t have any problems with helping people out but you have to ask some specific questions about parts that return “null” or throw errors. I can’t help you from this far away without even knowing what the issue is. Also, a Dynamo forum is a good place to post questions. I am, after all, just one person so you will have better odds asking the same question on the forum where hundreds of people will see it. I answered that question on the forum. Please check there. I can’t seem to find Grimshaw package in the package manager. Has it been removed? I reinstalled dynamo and it is there now. Weird. It definitely was not finding and the node was red. Can you add “Get All Model Groups” to your package? I love your add-in and I use it for Model Health Checks all the time. I tried modifying the code to get …BuiltInCategory.OST_IOSModelGroups but it keeps coming up with Null. Probably has something to do with the Inverted selection but I didn’t spend too much time looking further into it. Hopefully you can include this. If it has a category then you can probably get it with the OOTB nodes in Dynamo. try Category.ByName and then All Elements of Category. I follow your website and it is really nice, thanks for posting these kind of graphics. There are really useful. I tried to use print PDF in Dynamo and is worked very well in my own computer, but when I try the same dynamo graphic at work, it doesn’t work because PDF print node can’t name my pdf and I don’t know the reason. Could you tell any reason for this? PDF Print node by default always uses the same name for every sheet printed. The second part of this workflow was where we were re-naming already printed PDFs. This requires some basic level of Admin rights to be able to re-name files on your computer. I am not sure, but you might not have Admin rights to modify files in the location that you saved them at. Please verify that. I am new to dynamo and probably tying to run before I can walk. I am trying to find your “Get Level by name package” as I am trying to feed the simple “Level 02” string that I have extracted from a set of objects to Excel back the other way into the model. Under pressure to pull the proverbial rabbit out of the hat! If you can provide this custom node or give me some pointers as to how to do this I would be most grateful. It’s in a Archi-lab_Grimshaw package that you can download from Package Manager. Apologies I could not see it on Package Manager. I will look again. Is it on it’s own or in one of your collections of custom nodes? Like I said it’s in the Archi-lab_Grimshaw package. To be more specific under Selection. I don’t think I can be any more specific than that, and I am sorry but there is no “link” to it – that’s not how Package Manager works. It doesn’t like the inputs that I am giving it from my excel sheet though. Does it need a single value and not a list to function? (see image attached showing the test of it at the bottom and my attempt to use it in my workflow, with the error message. How can I transform my output to be ready for your custom node. Try using it as a function with a List.Map. Yes, it was written to work with a single Name input and not a list, but that’s because you can use it like shown on the image. Many, many thanks Konrad for your patience and assistance. That element of my project is now working fine. Thanks for your assistance with my project. I have hit a complete wall and would appreciate any guidance you can give me. My project extracts various instance, and type parameters along with top and bottom levels, family and type names for a collection of columns that I am using to represent concept stage risers. This part works fine and I am able to output all of these things to an excel work sheet (see image attached). I then have another dynamo project that re-imports this back into the revit model amending / updating the parameters as edited in the spreadsheet. This also works correctly with the exception that I cannot alter the family type in this way. I have followed several posts on setting family types and tried using various “set type custom nodes” from various third parties but am either getting errors or in one case it is creating a new type rather than changing the elements type to the one I want. Are you able to help? I can send you images of the project if required. I am sorry, but this is starting to look more and more like you are asking me to work on your project. As much as I am happy to help you along the way and suggest solutions I still have to remind you that I don’t work for NDY. If your questions are specific and Dynamo related, I will try to find time and answer them, but this is looking like you need someone to do a consulting job for you and provide a “solution type” service for your company. If that’s what you are interested in, feel free to email me and I will forward you my fee requirements. I am not looking for someone to work on my project. I provided the detail of the project purely to give the question context. I thought that it should be quite simple to set a family type from excel using dynamo, but am not finding it so and the forum posts I have seen haven’t helped me solve it. I tried to use your “Change Family Type” custom node but I could not get it to work. (my error I’m sure), I thought you might be able to explain how your custom node works, but I do not wish to bother you if you feel this is beyond what is acceptable help. I will have to post to one of the forums. Have you tried this: http://archi-lab.net/downloads/revitdynamo/ ? Yes, it is a great idea to post to a forum. There are hundreds of users on the forum that will be able to help you out. Appreciate your help last time, have another question, about AddSharedParameters node. 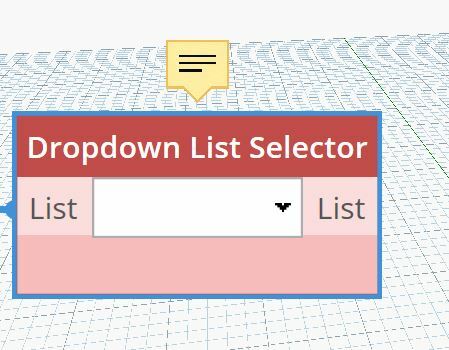 I don’t want to repost it, here is a link to the post: http://dynamobim.org/forums/topic/shared-parameter-creation-from-list/#post-34716 . Thank you for your time, really appreciate you package, and all you are doing for the Dynamo community. Cannot Get “Read Excel” node to work, no matter which Excel File simple (Book2) or Complex (Like the one I need for input into RMEP (UF Health Conduit Schedule – Level 1 UG))….I am always getting a null output….see jpg. Just learning Dynamo, so I don’t know what’s not working. Can you provide some insight? Trying to Follow along with your BB Primer examples. Thanks. Hope you have a Happy New Year. Bumblebee has not been updated to Dynamo 0.9.0 yet. I will update it to latest version eventually in the meantime you can just change a single line of code in the Python node from 0.8 to 0.9. It should work fine after that. AH…would explain a great many things…..I’ll give it a shot and let youknow. I can’t seem to get your polycurve by profile node to work. See attached image, unlike your screenshot here on your website, my watch nodes aren’t coming up with any curves from the profile. Any ideas? Thanks for the help. This node is pretty old. I haven’t looked at it since version 0.7.0 of Dynamo so I am pretty sure it will throw errors. I will have a look when time permits to see if I can fix it. Firstly, thanks for all your tutorial so far! very valuable. Fairly new to dynamo and have a simple problem but challenging for me anyway. I’m trying to setup nodes where you can input the Area for a rectangular filled region. The idea is that the Area remains as a constant but can tweak the height and width which affect each other through sliders. This would be a really useful tool in space planning. Any suggestions / ideas would be greatly appreciated. I can’t seem to even achieve the first step which is the creation of a filled region in dynamo! it doesn’t have to be a filled region. make a simple generic model with a box that has width and height parameters and then use Dynamo to adjust one, if the other is changed. Makes sense? That way you don’t have to go into details about creating Filled Regions, which are not exposed to every day Dynamo users, and would require some API savvy. Cheers! Problem is, nothing is happening, no errors occur, just nothing. I cant even Undo (the Dynamo-script) in revit after running it, there’s nothing that can be undone. Would you be so kind to give it a moment of your time to try to resolve this? I am sorry but I am currently quite busy and cannot offer my time. I will put that down on my “todo” list but I would not hold your breath while waiting for this. I am heavily booked for the next month or so. Just close Revit, open it again and then try installing it again. Sometimes when you have a package already installed it takes a re-start of Revit to allow Dynamo to uninstall it first. Thank you very much Konrad! It worked! Thanks if you can help! I’am trying to make the script in dynamo for sheet from excel to revit, the only thing i need is the ELEMENT.id node. i have dynamo 0.9.0 and downloaded your packages. My Question is how to import it all. i tried to add-import library but dynamo gives the error “Build error for library” when openingen the .dll file. is something going wrong by importing? my experince whith dynamo is 2 days, trying to duplicate your script. Could you tell me what i am doing wrong? try updating to 0.9.1 Release Candidate. I updated my package to that version yesterday. Where do i find the door handling node definitions to download? Good question. did that disappear from the package? I have some updating to do for the 0.9.1 release. It’s not fully baked yet. I’m using the Revisions on Sheet node and it doesn’t seem to return the Revision Number if the revision as been Issued. Any chance they can be added or is it an API issue? it can be added. i will when i have a min. i am not going to test this out. I know exactly why its only showing Additional Revisions and not ones that are added to sheets via clouds. It’s all right. Besides, I don’t exactly have time to do any of it now. Like I said. When I have time i will look at it. Thanks! Really great work and I appreciate the time type that you spend to develop these tools. I’m a new comer to Dynamo and have recently been trying to incorporate it into our modelling workflow. I’m currently in the process of cleaning up REVIT families and have successfully used your python script to clean up the line patterns, filled regions and materials. Unfortunately I have been less successful with the Line Style purge, I keep getting the below error code. I have no previous experience using Python, so I’ve got no idea what this is referring to. Any help would be much appreciated. I came across a consultant model that were using dots in their drawings index, when clicking in the cell a dropdown appears with a dot in place, that is applied to a particular sheet that was issued. I am not sure how to answer this question. It’s relative. For someone that has the experience its really easy, but for someone who doesn’t it might be really hard. To answer your second question, yes, this tool was developed to do just that: it assigns a dot symbol to a shared parameter and you can keep revisions and these shared parameters in synch. I am attaching two snapshots of what was achieved in this instance, I have scoured the whole project but cannot understand on how it was implemented. It seems in addition to text parameter that was assigned to index as a revision, there is another probably graphic calculated value with a dot when clicking in the cell brings the dot, which can easily deleted if entered by mistake. Anyways, I have found on various forums that there is a formula that can be added to cells for the dot: if(IssueX “●”, ” “), but unfortunately this does not work here. That leads me to believe that in the example attached was done something else. Yes, you can set this up with bunch of yes/no parameters for each issuance, and then connect a calculated value to them to display a dot in a schedule. I don’t like that approach because it’s a high maintenance approach. It also requires to double number of parameters (yes/no param and respective calculated value param). It’s too much hassle. It can be done, but it’s too much to worry about. So in short, the plug in you have created addresses this issue and avoids having to create multiple yes/no parameters for each revision. Is there in any shape or form this can be shared, i mean not necessarily the graphic interface, but the code ? I can’t share this particular work as it was done for the company that I am currently working for. I do open source and share a lot of other useful things, including code on this blog. Sorry im not sure how attache two images at the same time. Thank you nonetheless, will keep digging. Looking for the “delete.elements” node from the process below, it mentions it is part of the Grimshaw package, is this within archi-labs? Currently not coming up in my nodes search. it should be there. please check again. search is a little clunky. check the library on the left manually. There was an issue with the archi-lab installation. We reinstalled within Dynamo and voila, there it was. Is there a way for your node to first check the model if the element id string/list (from an excel file) is valid before it does it’s job. I’m working on a project/graph the will set a parameter to these element id numbers. The element id numbers are the clash detected element id numbers from Navisworks’s report “xml” file. But for some reason some of the element id numbers are not valid in the model. I’m not sure why that’s happening. It took me a while to figure out why the node was giving the “Traceback” error message…”AttributeError: ‘NoneType’ object has no atttribute ‘ToDSType'”. Some of the numbers in the list were not valid. So I was hoping you would be able to add some kind of error checking in the node. First check if the number is valid then process it if it’s good. Hope this can be done. Would really save me lots of time. Yes, this could be done. Also, the reason your IDs don’t match anymore is that (if I am guessing right) your models are workshared (central model + many users). What happens is that Element Id in a workshared model can change during lifetime of the project. Why? Because when you create an Element it gets an id assigned to it. Then when someone else touches it, it will pick up the element id from that persons model when they synch it into central. It basically overrides the original id with the last id used, by the last person that used it. Element id is not a stable reference to an element in a workshared environment. Use GUID for that as those never change, even if id changes. Ps. I will not be able to publish a new node, until i find a minute to update it, but I logged that in my to do list. Thank you!..And thank you too for the explanation why the id numbers change. Yes the model is workshared. Hi, i’m trying to build a pdf printing tool and found in the description of the archi-lab the tools Print Range and Print Settings, in the actual package these tools are not provided? Sorry to bother you but I have the feeling you have a very long to-do list. Can you please maybe send me a python script for the meantime. I keep checking everyday if you updated your package. My dynamo graph is ready and waiting to be use…Or do you know when you think you’ll be able to update your package? 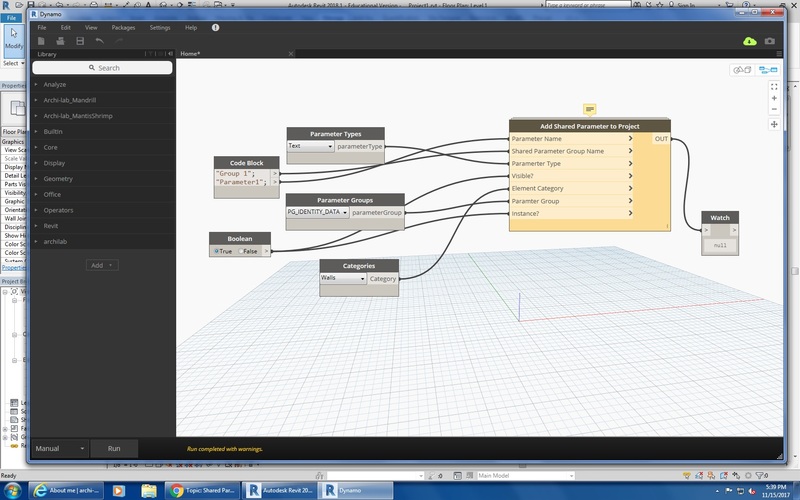 Would love to see an update for the archi-lab.net package for Dynamo 1.0. Its terrible that you have to keep updating it. Thanks. I am going to release an update soon. Hang in there. Your node “Add shared parameter to project” doesn´t work on Revit2016. Can you check about it if it´s possible? I wrote you because I need your help. I am also interested with the “id to element” node? I installed Dynamo 1.0.0 and I dont think it’s working. Any update you can share with us. I can have a look at it sometime next week I hope. I am using your archi lab package within Dynamo and was wondering if the package works already for Revit 2016 or 2017? In Revit 2015 I created a script included the Get Rooms by Level Node. In 2016 the node doesn’t seem to work anymore, but it could also be that my stupid german version causes the issues! I checked your python script but didn’t see any noticeable problems regarding translations or so on. my package is most recently tested on Revit 2016, but I don’t think there were any changes between 2015 and 2016 that would cause any issues. I think there might be some changes coming in 2017, but I haven’t tested on that version yet. Hi, Konrad, I am so sorry to ask for your help: I am new to Revit and know nothing about all the stuff but now I need to develop a new function which must be done using Revit. Thank you so much in advance! 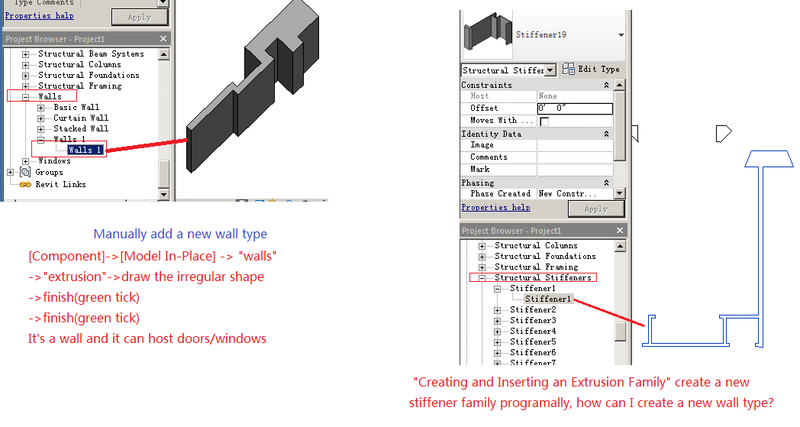 My question is: in Jeremy Tammik’s sample of “Creating and Inserting an Extrusion Family”, he created a new “Stiffener” type under “Structural Stiffener” family and it’s not a wall. How can I change it to a new wall type under the “Walls” family? As a matter of fact, all I want is to create an irregular shape wall, do you think is there any other way to get this done? The “wall.create” have 5 override functions but I tried all and failed. My wall is acturally an extrusion with the same height in Z axis, but in floor plan the shape are complicated such as an irregular shaped closed polyline. Please help me! Thank you very very much! I tried to attached a picture, but I am not sure if it will be shown well. Thank you! If you still have this definition would you mind sharing it with me please? I have tried a similar method using Breps (which was very slow) and have found Mesh outputs to work much faster, however I still have some geometry mismatches. Oh man, this was years and at least two different computers/hard drives ago. Apologies but I don’t think I can dig this one up again. I am working on a Dynamo 0.7.3 version and …maybe this is a stupid question but I can’t figure out which version of the archi-lab I should use and where to find it. Could you give me a hint? oh wow, that’s really an old one. I would look at the log of when 7.3 came out since all archi-lab releases are dated you can match the latest release to one immediately preceding release 8.0. Good luck! Any chance the Legend duplicator tool will be updated for Revit 2017? I can’t work out how people set up repeating legends etc for multiple sheets without this tool. I used the LMN version then missed it until I saw you had recreated something similar. Works great but one comment would be that if the sheets could automatically sort by number would make the process faster. Look forward to hearing if it’s updated. Thanks for sharing so much of your knowledge, it’s been incredibly helpful. I was wondering if there were any plans to incorporate read/write to Excel tables and/or named ranges in a future release of Bumblebee. This would allow for dynamic ranges of data to be used. These are all good ideas. I was’t planning on adding any of this to Bumblebee just yet, but feel free to submit a request on my issues page on GitHub and i will try to incorporate those one day. https://github.com/ksobon/Bumblebee/issues Thanks! Any news when you can share about when you think you can update the “Id to Element” node? It will be good to use in the next release of Archi-lab. I am working on a rather large update/release that will coincide with me heading to ACADIA so maybe in a month. So, we have the parameter (“Nome”) in the link; (“1.Bloco”, “2.Área”, “3.Apartamento”, “4.Int/Ext” and “99.Serviço”) in the Elements of the Category Walls which are inside the Linked File. We added all of them and tried to set the final parameter back to the Walls of the Linked File with another parameter called “EAP” which exists in the Walls of Linked File.. The problem is exactly in the final step because apparently Dynamo can’t set parameters to an Element inside of a Linked File. Is there anyway that we could solve this problem? As others have already told you, its not possible to push data into Linked Model without opening it. Now, it is however possible to open a model programmatically and write data to it, save and close. 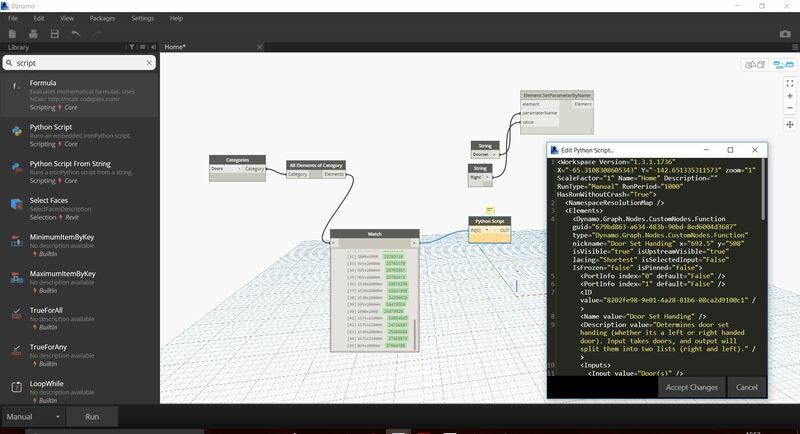 Of course Dynamo doesn’t offer that functionality yet, and would require custom development. Are you familiar with anyone in the MEP sector like yourself? I would like to collaborate as I have built a few workflows in Dynamo. MEP is a small subset of the overall offering of Revit but I think it has major potential!! Nathan, I am sorry but I am not familiar with anyone that I could refer you to. However, I do frequently venture to the other side, if that’s what clients need me to do. if you can tell me more of what you have in mind and what kind of collaboration you would expect then I will see if I can help. Feel free to email me instead at sobon[dot]konrad[at]gmail[dot]com. Cheers! Daniel, thanks for mentioning Simon. I totally forgot he’s an MEP guy. Yes, I agree, he’s a good dude. First sorry for my English..
And I find it fascinating fun, and a major progress engine to the AEC industry!! Does that mean I have no excess to the element? Is there any other method? if a given parameter is Read Only then you cannot change its value. I’m having a problem using your script “Add revisions to sheet” and have a feeling it’s down to me doing something silly/wrong. What value is the ‘Revision’ input looking for I feel this is where the error is occurring? I’ve tried a code block with “1”; & “Seq.1”; only to receive an attribute error. Please refer to attached image. Apologises if I’m being dumb or done something glaringly obvious that’s wrong but I’ve only been working with Dynamo for a few months now. I’d also like to take this opportunity to thank you in providing all of us with the scripts you write. It saves a lot of time coming to solutions I’d otherwise fall over and fail. Many thanks for any help you can provide. It’s actually a Revision object. Look for Get All Revisions or you can query them from a sheet using Sheet.Revisions. hello Konrad, i really don’t know if you have already gave the solution of this issue but if you have the .dyf of parameter type to do the list : for example : Text . Integer . Number . Length Area, in that way i will can choose with the good index to connect with the node add shared parameter that you know of course. i really really appreciate. I’m following a previous post in dynamo and the solution was to build a custom node with the copy paste given in this post. something is wrong but my knowledge ends there. can you help me please. i want to finish my script node dynamo to add shared parameter to room but it don’t work actually. 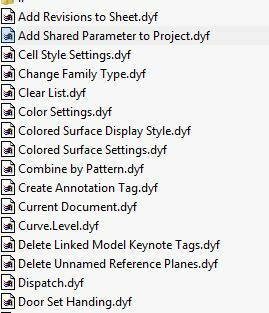 my revit is 2016 and my dynamo version is the most recent. Sorry if my English is not perfect, i’m french. see my attached file. Could you please give a quick exampel of how to use “Create Annotation Tag” when the elements to tag is in a Link? I could not make it work, I wanted to tag all doors that is in a Link but got error. Se my picture. i’m using Get Worksets to get the … worksets :) but it doesn’t seem to update when you create a new workset or when you sync. If i close and reopen the definition then it updates, running it manually won’t do it either. Is it an API limitation? No, its a custom Python script in Dynamo limitation. I usually put a Boolean Toggle on my nodes for that reason. So I went ahead and just re-wrote that node as a C# Zero Touch node which now allows me to utilize automatic updates to watch the Revit model and update the dropdown list when you either add or remove Worksets. I will post that to Archi-lab_Grimshaw package in the next release. Hi, I can’t to install these packege, can you help me please? Hi, is that a Think Parametric package? I just want to make curved+schedulable REAL revit mullions… My fails file so far: http://a360.co/2dlqQRF . Thanks a lot. I just installed to your latest package. 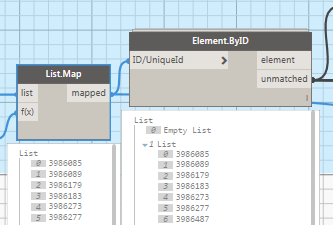 Did you ever updated your “ID To Element” node to accommodate element id numbers that does that exist in the model? Looks like you did not. Are you going to? It’s been a long wait for me. I must have not yet. Thanks for the reminder. So when do you think your next update will be. Next year? Nah, it will have to be sooner. Do I owe you an update on anything specific? Apologies if I haven’t gotten around to it. Oh that’s good to hear. Just the “ID to Element” to check first the id number if it’s still valid. Then process it if it’s valid. so right now it crashes the whole thing. next release will just return a null for ones that are not valid. works? How about not even a null. I’m not sure how the node “Element.SetParameterByName” will accept a null value. a new list excluding null values but from strings not elements. just filter that list before you feed it into the parameter node. That’s not really my concern at this point. I don’t think that a node should be modifying your list structure which is what you are asking me to do by dropping null values from the list. you will have to do that on your end. First off, thank so much for all your help and Dynamo packages. I have a question about the SetViewTemplate addon you posted. In a lot of the examples I saw that you used a node called ApplyViewTemplates. I am assuming that the node has just been updated. I am feeding the View Name and the View Template name into the node and it is giving me an error that it cannot accept arrays but in some other posts. 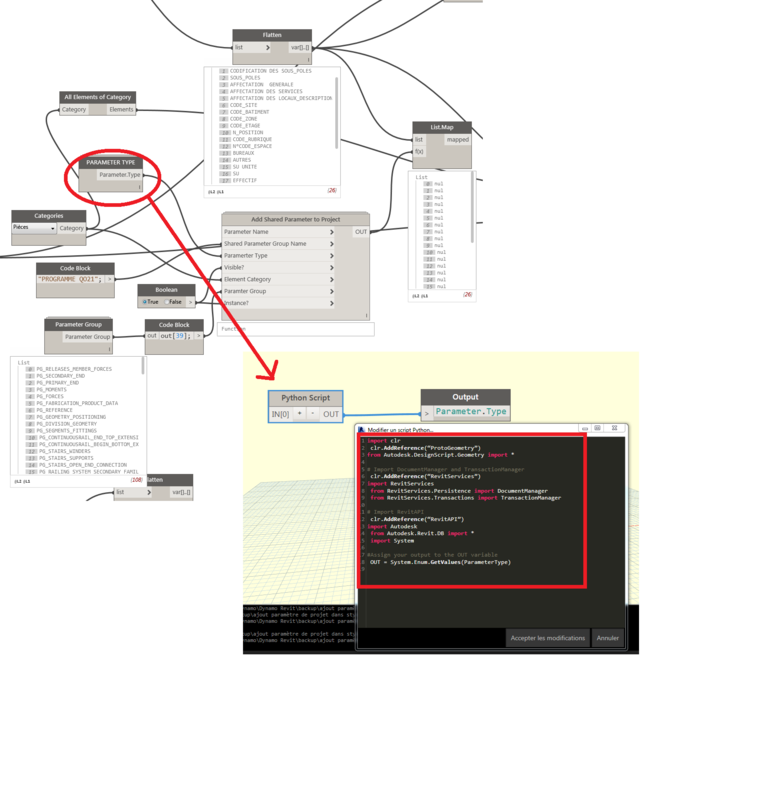 I tried to find the old node “Apply View Template” and did but it is from Dynamo 0.6. I attached the excel sheet and dyn file for your reference as well. I dont recall view template nodes being broken or missing. 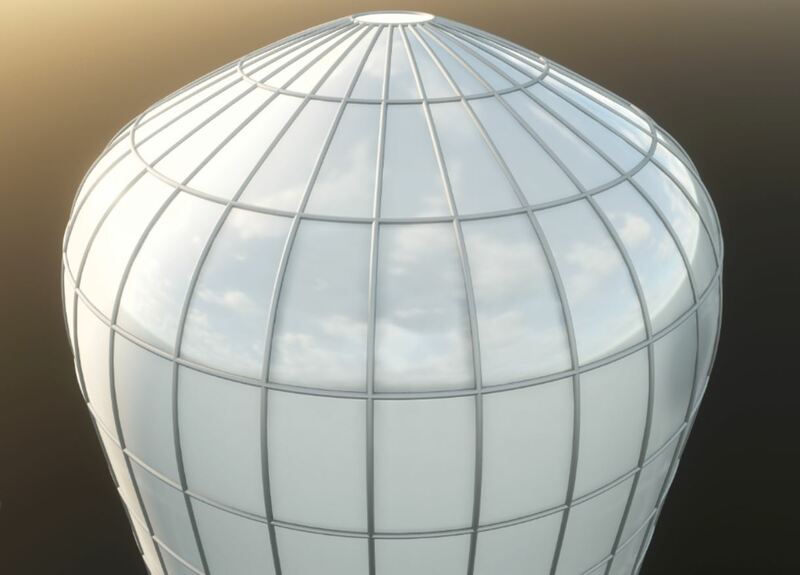 Just download the latest Archi-lab package and use these nodes. Mam problem z Twoim wezlem Rename FIles. W Dynamo 1.2 generuje mi blad. Bylby wdzieczny za pomoc jesli znalazlbys chwile czasu i nie byloby to dla Ciebie problemem. Bardzo Ci dziekuje i pozdrawiam serdecznie. Mozesz mi pokazac na zdjeciu co sie dzieje? Jakis plik DYN na ktorym moglbym to przetestowac bylby git, ale zdjecie jest ok. But every time I try and drag any Mantis Shrimp component into my Grasshopper window, my Grasshopper and Rhino crash. Any thoughts on what could be causing this? Konrad, I’m using your archi-labs package in Revit and in particular the ViewHideElements and ViewUnhideElements tools. Per the attached image, when I set the RunIt to “TRUE”, I get traceback error messages. Do you know what could be causing this? I have no idea what you are doing there since i can only see the last node, but I think that the error message is very clear. It states that an “integer has no attribute…”. This clearly means that instead of a Revit Element you are feeding in an integer (number). Numbers are not real things in Revit, they are abstract constructs. How are you going to hide a number? Yes I saw that right after I sent the comment. I was sending the index value of the element in a list rather than the element itself. I’ve got that corrected so it is sending the element. Thanks. I am trying to find a node that will create an excel spreadsheet listing all the detail tags in a project file and what sheet they are referenced on. If there is none that you know of would you be able to refer me to some sites that might be able to help me start to create such a routine. I don’t know of any, but I am pretty sure its possible. Good luck! Hey Konrad, I’m just getting started with Dynamo and was wondering if you could advise me on what the best practices are regarding modifying and publishing existing nodes / python code? I modified your node Elements in Room to do something a little different, modifying both the visual programming part of it as well as the Python script. I noticed that by default nodes are published under the MIT license, my interpretation of this is that I can republish the code/node as long as I give credit back to you (and in this case Peter Kompolschek which your node was based on). Is this interpretation correct? Are there any other copyright issues I should be aware of with these nodes / code? Nah, you should be ok re-publishing. Question is, why not just post the issue to my github page and post updated code there? that way i can just clean up the code, and re-post it back to my package and all current and new users will enjoy the benefit of it instead of starting a new package. only limited few people will ever know that a new version of this exists somewhere. that’s the imperfect one-way linked internet that we have today. Sorry to be bugging you so much today. I’m getting an error that the “Id to Element” node is not found. Did Id to Element get deprecated or replaced? in latest archi-lab package that node is no longer called Id to Element. Instead try looking under selection for Element.ById. I’ve replaced the Id to Element nodes with Element.ById, but it appears they don’t work quite the same. Might be the List@Level function, but I haven’t quite figured out why yet. I’ll update once I get it working again. That’s not my node. Please use one from the archi-lab package. I can’t answer for someone else’s code. hi, can you tell me why your node Id to Element doesn’t want to work? this is a really old package version. Please update to latest. I’m trying to add shared parameters to a family and have been stuck for a couple days on this. The error is in the Python Magic group with the parameter types, parameter groups, and category by name. Any help would be appreciated. Thanks! 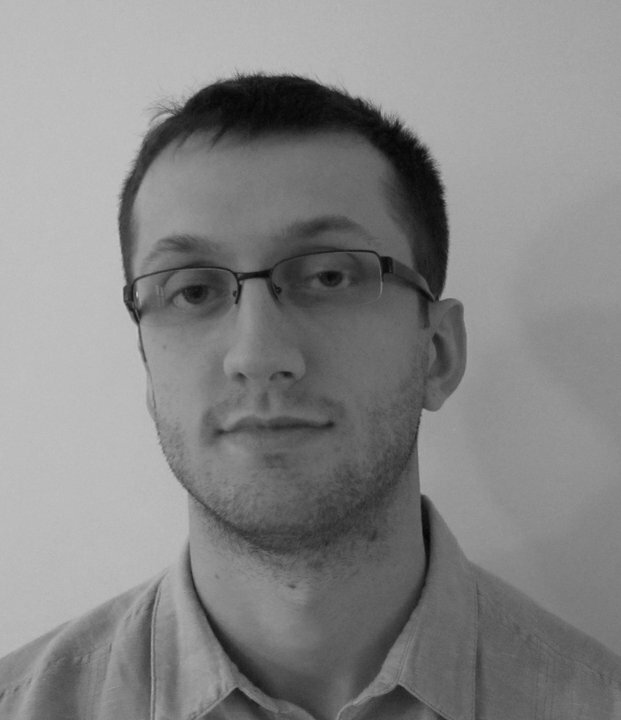 Thank you very much Konrad, your blog helped me start with Dynamo. Thank you all your nodes that I use every day in dynamo. Excuse me for this bad English, I’m French. I encounter a problem with the Room.AtPoint node that works well with a local model. Unfortunately I need to use it on a linked model but it does not work. You indicate on your site that it can work with a small modification. I’m struggling with inserting images into excel using Dynamo. I’ve found Bumblebee node: “Embed Image”, but it doesn’t work for me. Could you please show the correct input to that node? I am just getting started with Dynamo, and I see a lot of your nodes and package(s) being referenced on the forums. I have been tasked to dimension the edges of a floor to the nearest grid line. I have been playing around with it, and I thought maybe I could use the “Dimension By Element” node, but am not having any luck? I have found scripts for columns, and grids online, which I thought maybe I could modify to make it work, but I am having no luck. You have any advice or guidance you could provide? Attached is an image of the end result of what I am trying to accomplish. Hi, I made a change so I can input a list of tags in your tag element node. If you want to see what those changes are, then I’m happy to share them. Am trying to find the Apply view template .dyf which should be found in archi-lab package but it is not there. elements being the issue. Any ideas what may be causing this? it means that instead of a list of Rooms you have somehow managed to pass just one Room to the iterator, and hence it doesn’t work. Inputs must be lists. Special thanks for the bumblebee package. I am trying to find a way how dynamo can help me manage changes in the Revit schedules. to give you an example, After we issue a door schedule to the contractor and if it needs updates, we have to issue the whole door package with the updated cells highlighted. Currently I use an excel sheet with some conditional formatting to compare the previous and current data to highlight the updates. Is there a way which can be more efficient and intelligent in managing changes in Revit? Can dynamo be helpful on this? Here is Kiki from Hong Kong. Currently, I am working on Dynamo and want to use Isolate in View node. Could you kindly share with me the installer package? Thanks. During this tutorial, at around the 10:00 minute mark, you start showing off a custom python node named ‘Python Script with Variable Number of Inputs’. I am wondering where I can find/download/search for this script as I have no experience in Python and would not be able to duplicate that node. Any help in pointing me to the right direction would be massive in getting this dataset working on my end and saving me and my company loads of time and labour!!! When Record Modeling large facilities, Revit revisions are no longer needed in a record model environment. Leave them in an As-Built model, but not in the Record model. I’d like to find a way to merge all the revision down to just one place-holder revision. I can globally delete all revision clouds and tags, but when there is 150+ revisions in a model which no longer need to be there, is there a way to use Dynamo to globally merge all revisions back down to the one default placeholder? 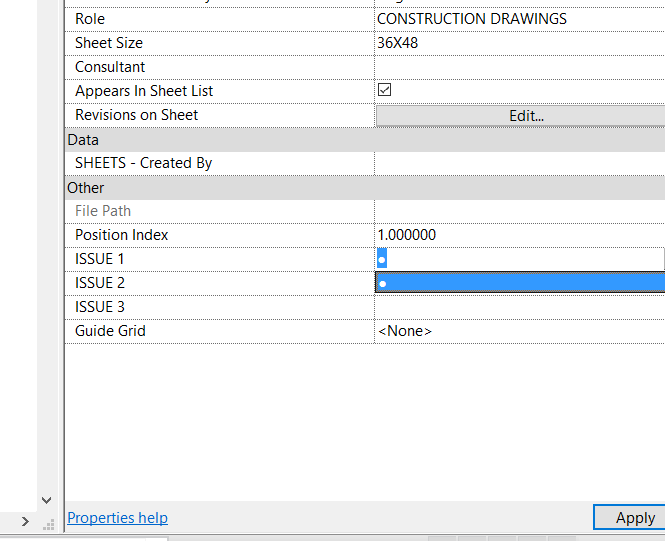 There is a method in Revit API called Revision.CombineWithNext() that would combine two revisions. Subsequently, if you run this in a loop over the whole Revision Set you should be left with just one revision. Good luck! I can’t seem to download your Door Handing Script from your site. I’ve tried to recreate your script (still a beginner with this) but can’t seem to get it to work. If you could please assist me with the dynamo file. I would like to try this script for us in South Africa. I have a problem which I don’t know how to approach. I spending a lot of time creating updating legends. I have Door and Window schedules. Which are easy and get updated with the project. But these Schedules are on a sheet with legends to show how each window type and door type looks. The Legends don’t get updated. The are no images in the Families to use. The prefer to have the layout the way it is and not a picture in the table/schedule. But a picture with a tag on a sheet for each window and door type. Can you generate legends form the door and window schedules to place in the sheet? Please post this question to the Dynamo Forum. I am sure someone will have an answer there. I don’t have anything ready that I could share with you at the moment. I have a quick question for you. 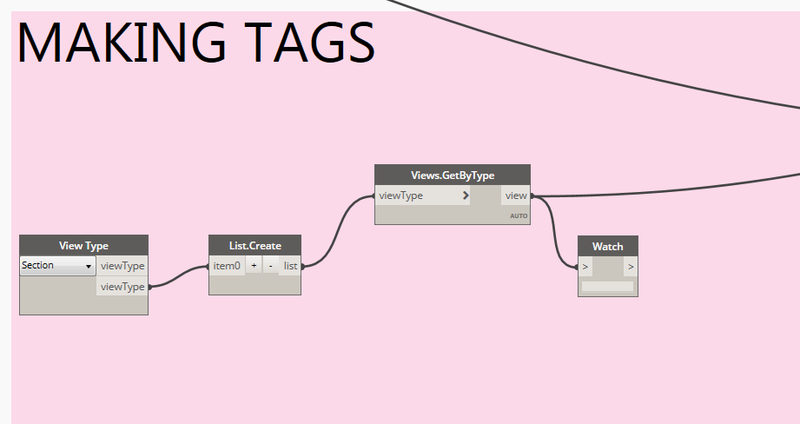 I am new to dynamo and I am modifying your View.Duplicate node to do something a bit different for me. What do you have your View input set to in this node? That’s the only thing holding me up. I have the other strings associated. 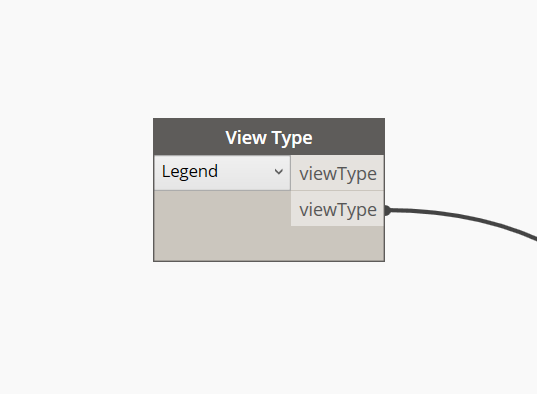 View would be any element in Dynamo that inherits from View class. I think if you used a Category node and set it to Sections, then connected All Elements of Category node to it, it would return a list of all Section Views. There are also custom nodes in my package that you can use to collect views. You can use View.GetByType and connect View Types input to it. Where is the source code to this node? Would really like to try get it working with area plans. 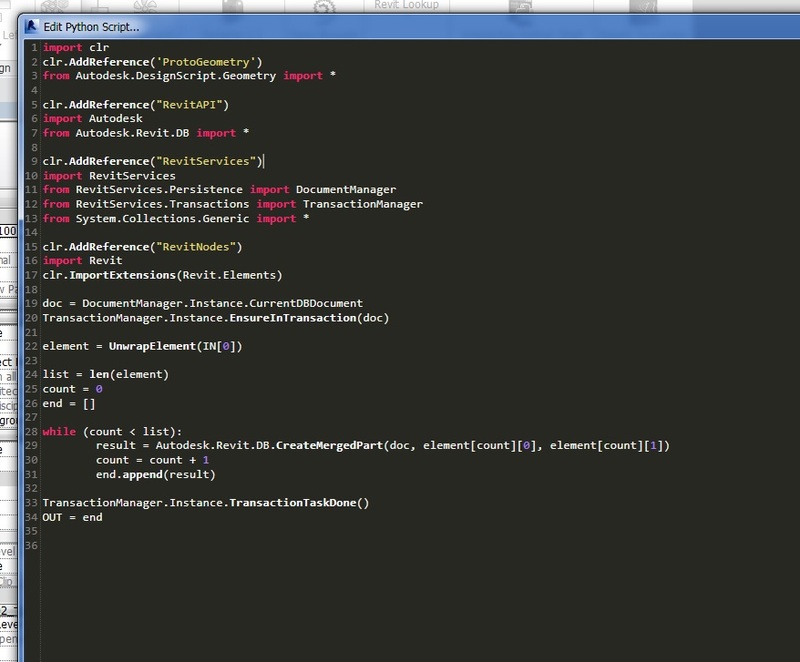 Or if Konrad could do it, that would be awesome as I’m just taking random guesses in the dark with code. Good day Konrad, et al. I’ve upgraded to 1.3.1. and reinstalled the latest Archi-labs.net packages, but can’t seem to find the ID to Element node anywhere, has it been excluded from the latest release? That node was renamed to Element.ById if I am not mistaken. Please Check under Element category in Archi-lab library. you doing a great job !, and i am interested for a python skript that you wrote (get all objects by parameter), but now in my case the skript dosen´t works. I check it 3 times, but i can´t find the mistake. maybe you have the same problem earlier and known a solution. the topic is closed so i write you directly on this way. 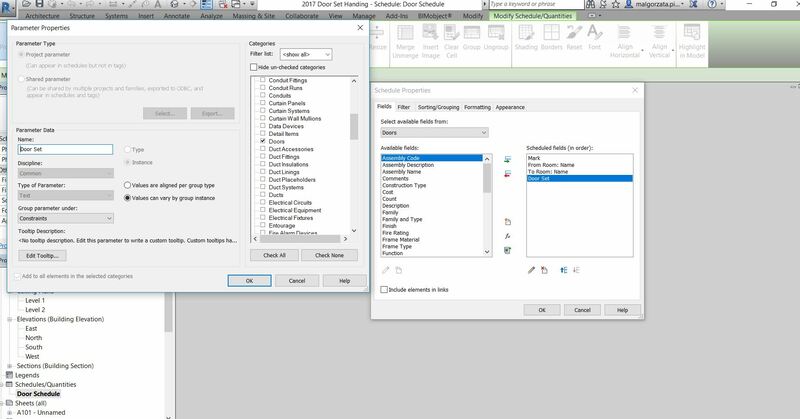 I am very new to Dynamo but I am trying to use the Add Shared Parameter to Project node to create various visible and invisible parameters to then use to make a custom sheet index schedule in Revit 2016. I am struggling to get the node to work. It either returns “null” or “function” each time I run it. I am very new to python and designscript and was wondering if someone could walk me through how to get the node to work properly. 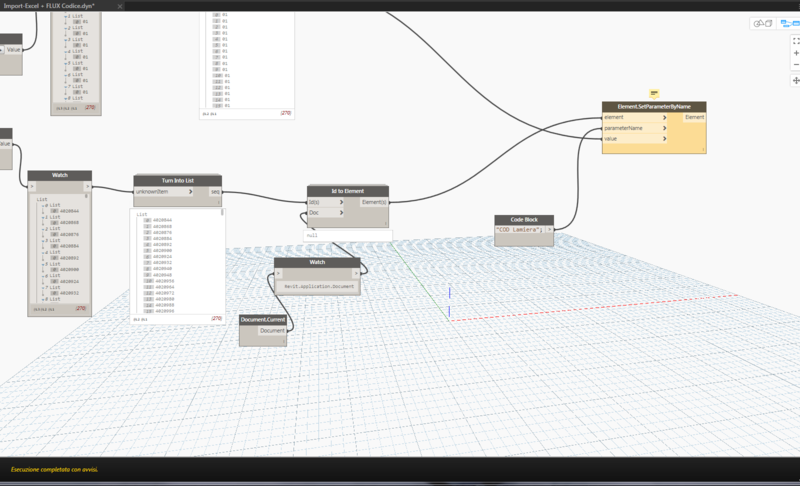 I think the OOTB Dynamo now has nodes that will allow you to create Shared Parameters. Please use that instead if possible. I am a student and working on dynamo for the first time. I went through all the threads on dynamo on the forum but I’m still stuck. I am unable to understand why I’m still getting null file. I am attaching a demo file but my actual definition is much longer. It would be really helpful if you could elaborate on that and also on the relation between the shared parameter text file and the definition. I tried to find the custom nodes for parameter types and parameter groups which need the code block but they aren’t available. I would like your comments on the same. I am trying to place a slope arrow (which is just a generic annotation as I’ve read you can place the out of the box slope arrows using dynamo) onto the center line of a pipe. Could you help to me how can do. Hi Konrad, I’m Elisa, a Civil Engineering student. I’m making my Master Thesis with BIM and I’ve followed your page to built a buttom in Revit. with this buttom I have to make it do some choise, like other buttoms and check box…can I? cause I can with Visual Studio but I can’t putting it in Revit, it doesn’t work. I am relatively new to Dynamo and RevitAPI, I have had great use from archi-lab packages, but I think I managed to improve upon your Print PDF node (the python script within). If you are not sure what I mean, then there was an error setting the printSetting to RevitAPI (it expected different type of object). I submitted a code and pictures for you. Maybe this can be implemented in the package? I also suggested the same on Dynamo forum (TypeError: expected IPrintSetting, got UnknownElement). Thanks and have a good new year! Hi Konrad this is Gjergji we worked together a while back at HOK. I’m trying to get a simple script running to remove unused view filters from a project via dynamo. I attach if you would like to look at it. My question is in regards to the . Elements.Delete button, does it automatically hold true when running the script. I cannot seem to be able to check whether it ran or not. I think it would return nulls when it actually worked as the elements you passed in would now be deleted. Isn’t there a boolean input? Quick question about scripting. Would you happen to know where I can learn this? I am architecture/architecture technology double major graduate and love using revit but never got to the point where I can do more with it, such as rhino to revit with actually working parameters and revit native elements. I am currently based in the UK, is there a place u would know? or maybe online even? I am a student at Royal Holloway, University of London and would have a couple of questions on your work, specifically on room tagging, and the shared parameter element that you created. I am currently working on an assignment where I am supposed to create a product and decided to implement an application. To create this assignment I would (as already mentioned) have some questions for you. I hope you would be comfortable in helping me. You can try asking the actual question. If I have time I will answer it, if not, however I will not. You can also try a Dynamo Forum. There are a lot more people there to ask the same question, so the chance of getting an answer is bigger. I’m looking to speed up my work flow in Revit 2017/2018 by making the “Set Work Plane” and then the “Pick A Plane” option all into one button. Basically, when you click the “Set Work Plane” button you then have a prompt that you then need to choose. I use the function so much that I would like to make a single button that goes right to “Pick a Plane” without any prompts. I already know how to code and I already make my own buttons but I’m not sure how to duplicate the functionality that Revit does. Is there a way for me to do this? I think the API allows for setting currently active workplane so in theory you can make a routine that let’s you select a plane, hit a button and it will make it the active one. Are you still planning on keeping Mantis Shrimp updated? I have been using it before and once I figured out about writing in the python code with correct versions of Dynamo it seemed to work. This time around I have been able to do this in Grasshopper and send a .geo file – however I have not been able to import this in Dynamo. As I just get “Null”. My guess is something with the code/version, but I have not been succesful in figuring it out. Just updated it to 1.3 version of Dynamo. It was published to the Package Manager. I will also release an update to Dynamo 2.0 sometime in the future. That version of Dynamo is not yet fully functional so no rush. I have tried installing Mantis Shrimp in grasshopper. I have revit 2017, revit 2018 and dynamo core 1.3 and dynamo revit 1.2 installed. The export component appears red from the moment i try to use it and I get ‘Solution exception:Could not add reference to assembly ProtoGeometry’. Do you know why this could be the case? There is a new version released for Dynamo 1.3 so make sure to download the latest from Package Manager. Thank you, it worked a treat. Thanks for the quick reply as well. I really appreciate your work and can’t wait to give this a go! Hi I am trying third day to schedule the Door Handing but I am stuck with the door parameters. I couldn’t match them with the script “Door Set Handing”. I have all yellow boxes “Element.SetParameter by name” . Should I create instant text parameter in the door family called “Door Set” ? Then I can’t schedule the instant parameter and also I can’t put formula using instance text parameter to get it scheduled. I am very new to Dynamo I researched dozens of posts but none explains properly for beginners. Hi. Sorry Ignore the attachment it was attached accidently. Actually I found the answer for my solution. I had no idea you need to create Project parameter called “Door Set” It is Instant Parameter and can be scheduled. Screen Shot Attached. Glad you were able to sort this out. Cheers! 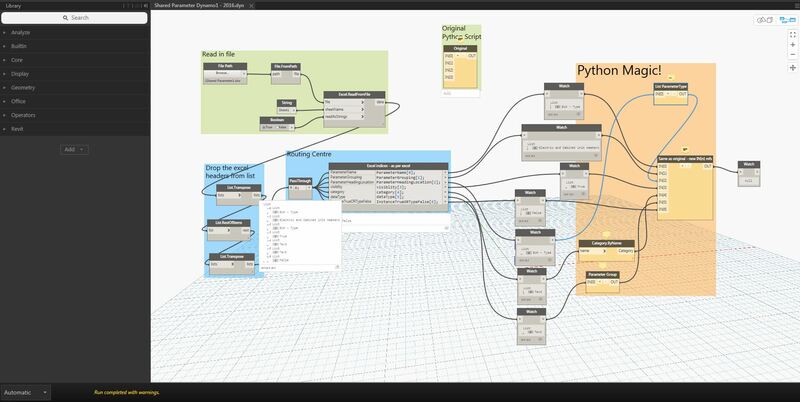 I am brand spanking new to dynamo, and have been getting alot of help at the Dynamo forum. THere is one issue I thought I would run directly by you to see (and most likely it is some mistake on my end) if you have any light to shine on this issue. I work equipment layouts using the architectural file as a linked background. I use the get all elements from linked file and it pulls all rooms in this case from the linked file. but when I run the elements from linked file it associates my equipment to rooms from the linked file, only until recently to notice that they weren’t being factored as belonging to the correct room. Any clarification you could provide would be super appreciated. This is not nearly enough information for me to even come up with a guess. I simply don’t know what your issue really is. I am trying to reproduce the following graph to extract information from a Revit model having a linked ifc file. Is there a way to access the actual element geometry in a linked IFC file using dynamo? For example, I have a linked IFC file for curtain wall built of curtain panels, I’d like to extract the curtain panel boundaries or corner points from this linked IFC file but can’t seem to access the geometry. Any help would be great, thanks guys! So, instead of getting the ifc object, I got the reference to the revit.DB…. I work for a software developer. We develop software to run our CC machines. We have also hooked up a gaming engine to our software for VR. It’s really kool. Anyways to the point. I have pieced together a dynamo script to export DWGs from Revit. I am new to Dynamo. 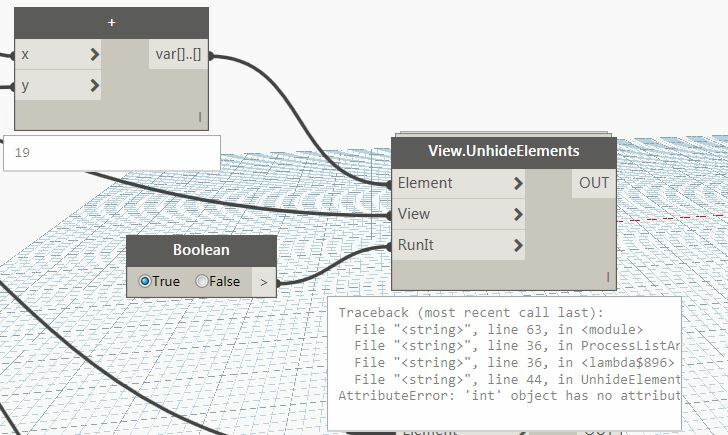 A vital node in my script was written by you, found here: https://forum.dynamobim.com/t/choose-export-settings-revit-to-dwg/17413. I really appreciate this Python Script. Works like a charm. I would like to share this Dynamo Script, that contains your code, with some of our sales people/non Revit users, so that they may export dwgs. Is this acceptable? Yeah, that works for me. Good luck! Thanks for all the great work you’re doing – I saw you at the BILT (RTC) conference in Australia a couple years ago and have been learning Dynamo ever since. I have a question about your Revisions on Sheet node. I have installed the latest version (Sheets.Revision) and I’m not getting any value for the Revision Number parameter. All the other parameters are returning values. Is that right? I suppose my question could also be – can I access the Revision Number for each revision on a sheet? I would have to see an image of what you are looking for. Please post an example. Love the work and the packages! 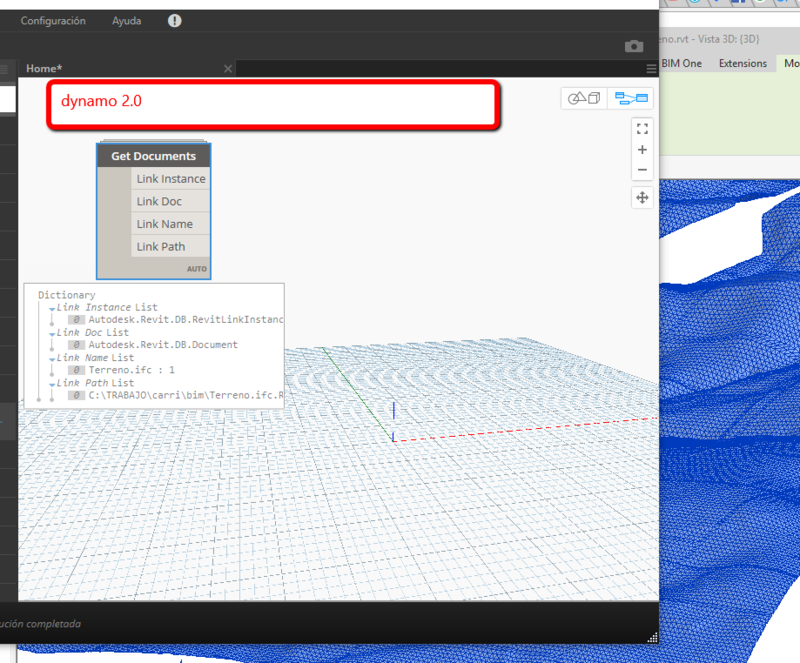 I am using your python coding in dynamo (above link) for exporting out Cad files. Works great for versions 16 and 17 but something changed in RVT 18. Now every time I run it in RVT 18 it exports to AutoCAD 18 even if the settings are set for RVT 13 within Revit. The old school manual method with Revit works, so I have isolated it to my dynamo graph. I am using the same code as the above link and I am a python newbie so any help would be much appreciated! I did read up on the API changes for RVT 18, but does that effect the fetch on the export settings? If you have already addressed this my apologies, thank you for your time and effort in advance! Can you post that issue here: https://github.com/ksobon/archilab/issues Thanks! Thank you for sharing your knowledge to us Dynamo newbies! I am trying to direct your Door Set Handing node to single doors only and give all of our double doors a door handing value of “n/a”. To achieve this I’ve created a flow that filters out all Single Doors by Family Name (String contains “sgl”). However I seem to be unable to then get all elements of that Family Name so that I can direct them to your Door Set Handing node. If possible could please have a quick look at the dynamo file attached and offer your thoughts? I would much appreciated it! Please see attached. I changed a few things, but this should get you going in the right direction. Also, the attached script was created using Dynamo 2.0 so please make sure to update. Lovely work on archi-lab pack. I use it very often and its really helpful. Recently i hit the wall with Clear Content for excel worksheet. Script looks OK when i run the node … result is success but in real my excel worksheet is not cleared. I try lots of different combinations in dynamo but every time i get successful run and no actual cleared worksheet. I try with play with macros too. I stop them all and result is same. Do you have any ideas what is wrong ? Can you do me a favor and post that issue here: https://github.com/ksobon/Bumblebee/issues Thanks! Thanks for all the great work you’re doing! This was happening in the Dynamo 2.0 when you had an old version of archi-lab.net installed. Just make sure to install a 2.0 compatible version of archi-lab.net. Please check the work of the ViewSets.ByViewsName node. It works well for the creation of one set, and several. But overwriting works only if the input is 1 set (1 element per input “name”). “Could not replace existing View Set.”. P.S. The node is included in the Interlacing mode – “Longest” – so that the lists of Lists correspond to their Assemblies. Is it possible to fix a node in this mode? The test was carried out on the package versions: 2018.0.12, 2018.13.13. It will be best if you can post an issue here: https://github.com/ksobon/archilab/issues This will let me keep better track of it than via WordPress comments. Thanks! Is it possible to use the active cell(s) from Excel as a range? Instead of typing the range in a node I want my script to look at the selected cells in Excel. I think so. I am only 90% sure on that once since I haven’t tried it, but yes, it should be doable. I have a problem with a dynamo script that you design, and i am really hoping that you can helf me fix it. I have attached a picture. From that image it looks like you are missing the archi-lab.net package. You should install it using the Package Manager. I have a quick question regarding your View Type Node in 2.0. I am getting a double ‘viewType’ out on the node when I run it. Any thoughts on how to fix? I am trying to run Dynamo code shown in this link . The author advises need for Archi Lab. I do not know what element or data set needs to be added from your site ? 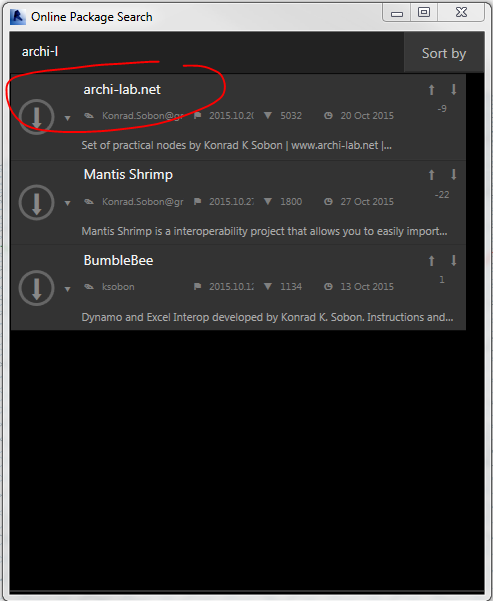 You want to go to Dynamo’s Package Manager and install the latest archi-lab.net package. You can also try and reach out to the creator of that video and ask him which version specifically you need for the video. Konrad how do I get download link for archi-lab.net package ? There is no download link. You can get it directly from Dynamo using the built in Package Manager. Any help with this problem will be appreciated. Is the ScheduleView.CreateAreaSchedule node that you developed on GitHub available in the archi-lab package? I am not able to find FloorPlan.ByRoom node in archi-lab package. Can i know if there is any other mode which i can use it for the same. Which version of archi-lab.net and dynamo are you using? I ve a question for programming language. I use Dynamo since 2 years now but only nodes or package. I would like improve now my own script and i would like to now what it is the best way to begin. I m a newbie in programmation. I ve never learned or written a code. So, what language i need to learn first PYHTON or C# ? This question has been asked about a dozen times on the Dynamo Forum. The answer is: it depends on what you are trying to do, and what your long term goals are. Upload Attachment (Allowed file types: jpg, gif, png, pdf, doc, docx, ppt, pptx, pps, ppsx, odt, xls, xlsx, rar, zip, mp3, m4a, ogg, wav, wma, mp4, m4v, mov, wmv, avi, mpg, ogv, 3gp, 3g2, flv, webm, apk, maximum file size: 2MB.